B.C. Rich has announced a new series of handcrafted guitars that celebrate their 40th anniversary as an instrument manufacturer. 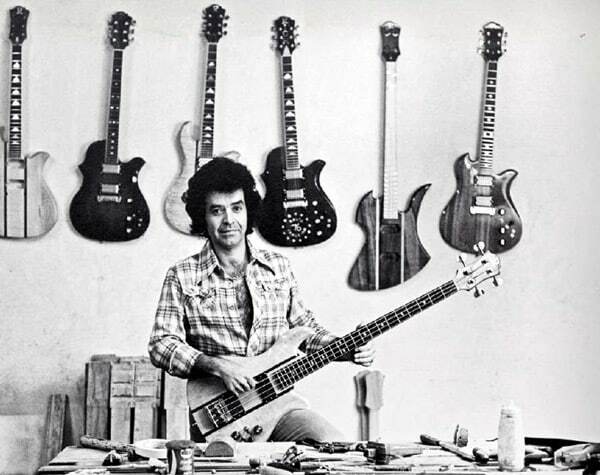 If specialized instruments are your bag – and money is no object – read on, dear collector. The B.C. Rich Anniversary Guitars hearken back to the original designs offered up by the company: the Eagle, Mockingbird, Seagull and Bich. The differences in these 40th anniversary editions will be a commemorative logo on the back of the headstock, a certificate of authenticity, and a special serial number. All four of the B.C. 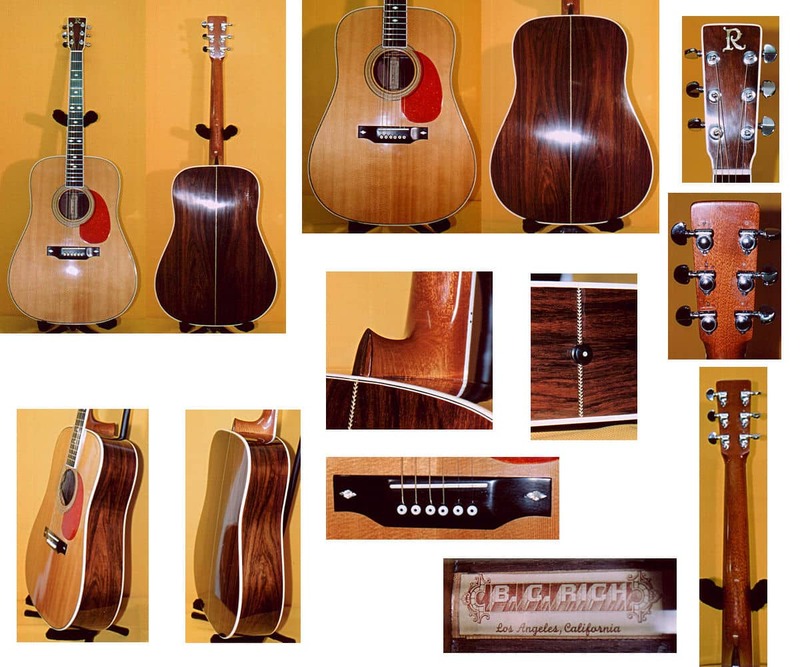 Rich Anniversary Guitars will feature the Neck-through-Body Koa wood design the company helped popularize back in 1969. Maple accent stripes, or stringers, are also featured on two models, and the guitars all also include the Grober Super Rotomatic tuners, Cal Rad knobs, and B.C. Rich Diamond fingerboard inlays (with the exception of the Seagull’s Snowflake design). “The 40th Anniversary Series lets us pay tribute to our original designs with these retro-inspired models,” said Rock Clouser, product manager for B.C. Rich. Open up your pocketbooks collectors! More information can be found at the official site here, but each of these beauties will carry a hefty MSRP of $4200. Good luck getting your hands on one of these. B.C. Rich is back with a firestorm of new signature models created in collaboration with Kerry King, legendary guitarist for Thrash Metal titans Slayer. Four new models are available, each bearing finishes, features and tones approved by King himself. Two models feature an intense new Kerry King graphic: The Kerry King V Flame Generation 2 depicts a two-tone tribal graphic over a flaming backgound image and the Kerry King V Metal Master Generation 2 shows this same graphic over a gloss Black finish. The Generation 2 images are based on the B.C. Rich Handcrafted guitars that King plays on tour with Slayer. B.C. Rich Mockingbird Series (January 15, 2009) — Today we’re going to take a look at B.C. Rich’s renowned Mockingbird guitar series and we’ll throw in a Doubleneck Rich Bich just because they are so damn cool. Kerry King and Jeff Hanneman’s paint-splattered Gibson Les Paul Standard and BC Rich Mockingbird have much to answer for. After all, they’re the axes that helped launch Slayer’s now infamous legacy of brutality. “That Les Paul was defiantly my first real guitar,” recalls Jeff Hanneman. “I had a couple of clunkers before that but nothing that really played that well or even stayed in tune. I bought it off a friend for $500, I’m not sure when it was made but it was in great condition when I first got it. Since then I’ve pretty much beat it to hell,” he laughs. 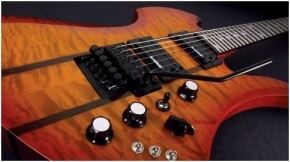 Like Hanneman, King had a Kahler whammy system added ti his guitar but left the pickups alone. “I’m pretty sure they’re the stock DiMarzios it came with—probably a Super Distortion [bridge] and a PAF [neck].” Also, like Hanneman, Kerry added his own personal touch to the axe. “I don’t think I did mine because Jeff did his, but it’s so long ago I don’t remember,” he laughs. “I got a little eight-ounce can of black paint, stuck a drum stick in it and dribbled paint all over the guitar—very musical!